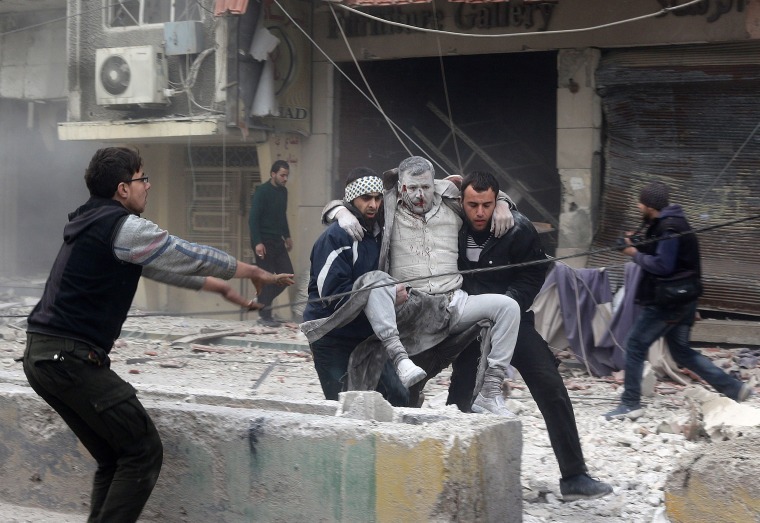 See some of Sunday's best news pictures. 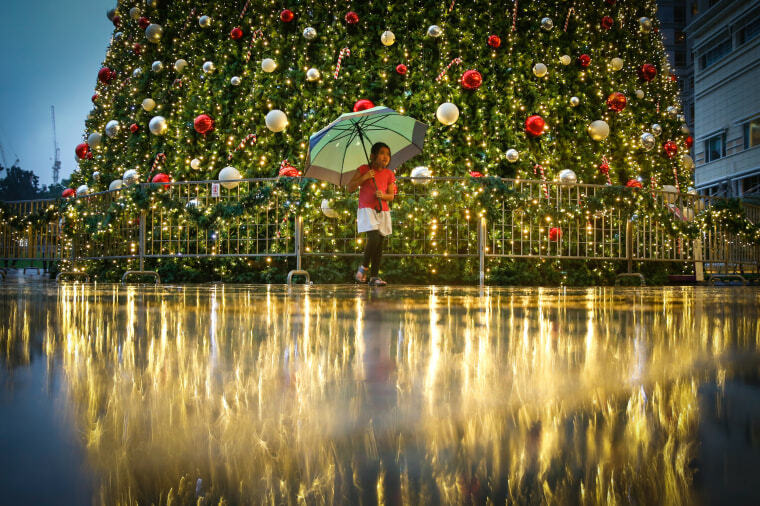 A young Malaysian girl walks in front of a Christmas tree at a mall in Kuala Lumpur, Malaysia. Malaysia is a Muslim-dominated country. 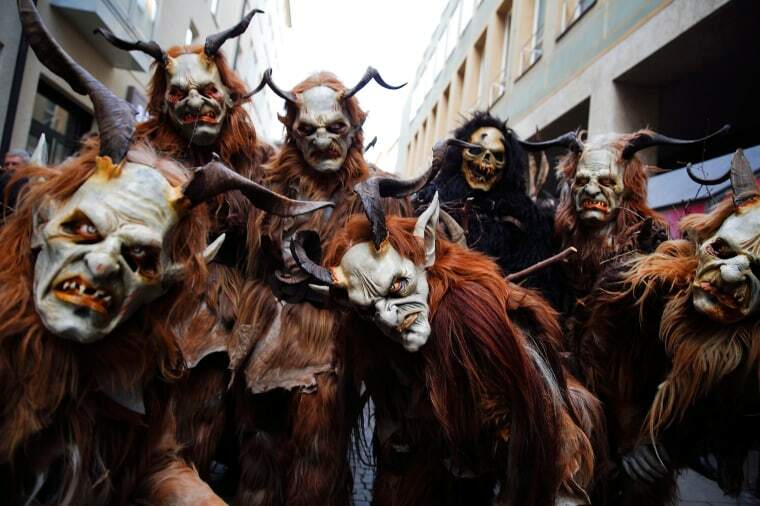 Men dressed as 'Krampus' prepare to parade at Munich's Christmas market in Germany. Young single men will wear the traditional attires known as 'Krampusse', consisting of animal skins and masks, with large cow-bells to make loud and frightening noises and parade through the city. 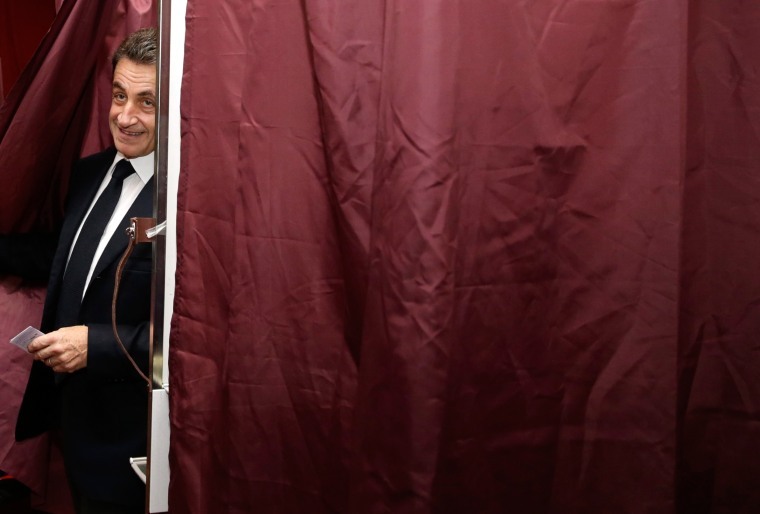 Former French president and current French right-wing opposition Les Republicains (LR) party Nicolas Sarkozy steps out of a polling booth after voting in the second round of the regional elections in the Ile-de-France region at a polling station in Paris, France. 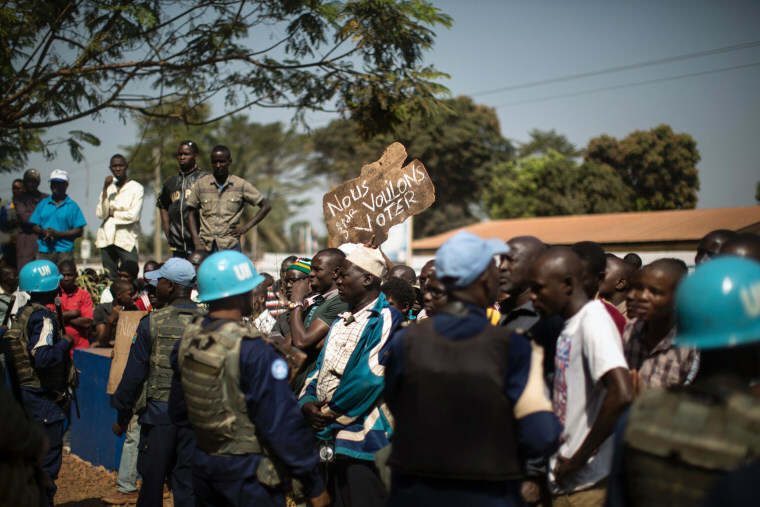 Residents of the PK5 district hold a banner reading "We want to vote" as they demonstrate in front of the United Nations mission in Central African Republic's headquarters, calling for more security measures outside of the polling stations during the Constitutional Referendum, in the flashpoint enclave in Bangui, the capital city. 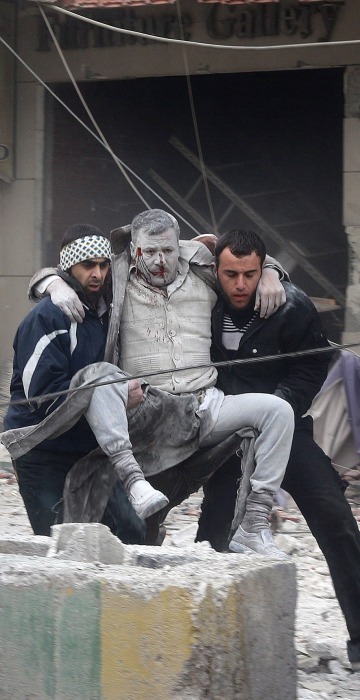 A wounded man is carried to safety after Russian Army aircrafts carried out airstrikes on opposition-controlled Sakba district of eastern Ghouta, Damascus, Syria. 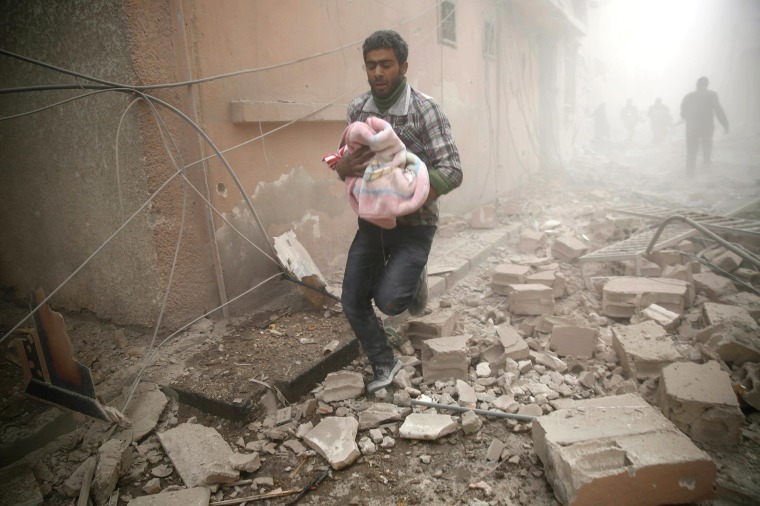 A Syrian man carries a baby wrapped in a blanket following airstrikes in Douma, eastern Ghouta region, a rebel stronghold east of Damascus. Viktor Axelsen of Denmark, above, plays against Kento Momota of Japan during the Men's single final match of the BWF Dubai World Superseries Finals in Dubai, United Arab Emirates. Anas Francis reunites with his cousin Laila Beylouneh, a 13-year-old Syrian refugee, at the Welcome Center in Montreal, Canada on Dec. 12. 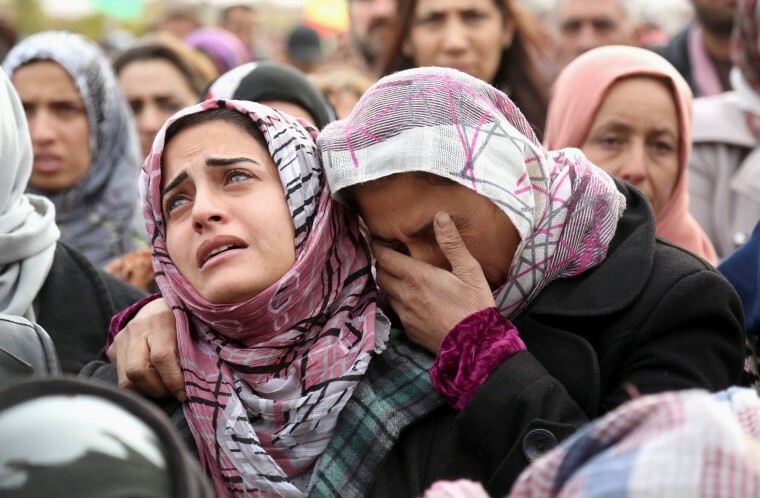 Mohammed Ismael’s sister, left, mourns during his funeral in Qamishli, a Kurdish-majority city in Hasakeh province, Syria. Mohammed Ismael died in one of three suicide car bombings claimed by ISIS group in the nearby town of Tal Tamr. 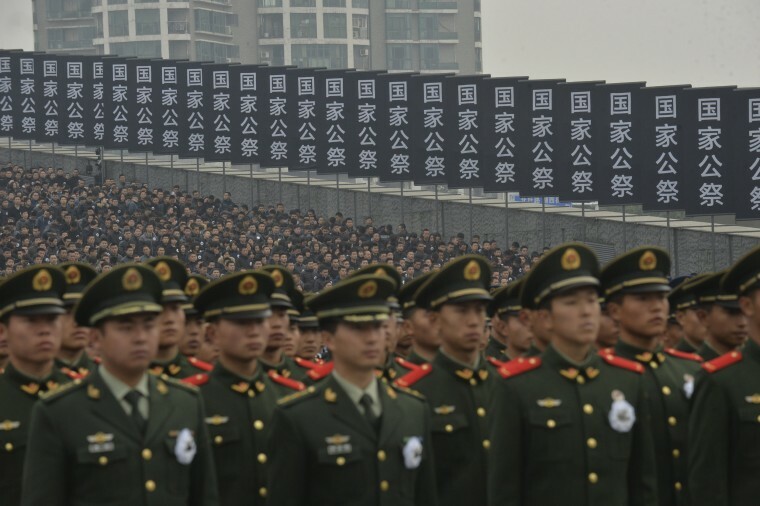 Residents in Nanjing attend a ceremony to mark the second national memorial day for the Nanjing Massacre, which happened in 1937, at the Nanjing Massacre Museum in Jiangsu province, China.